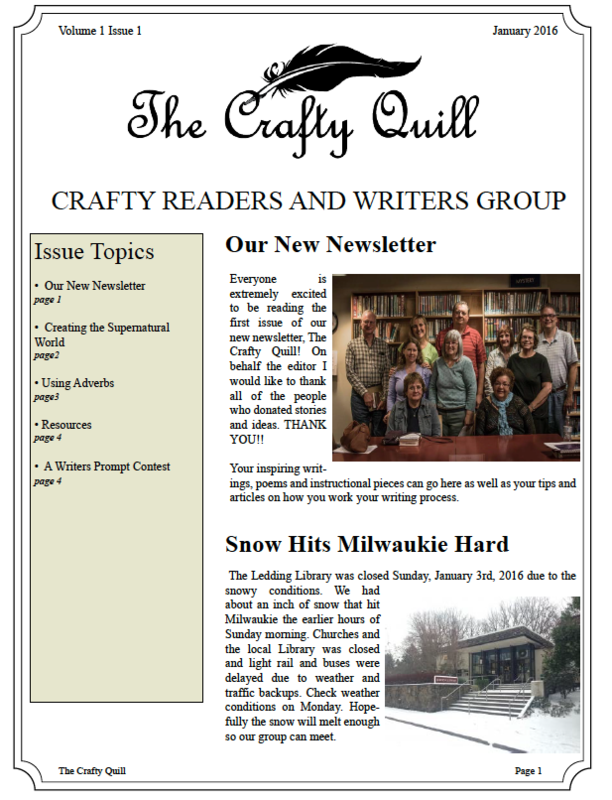 Our newsletter is published quarterly. (January, April, July & October) Submissions are due by the 15th of the prior month. 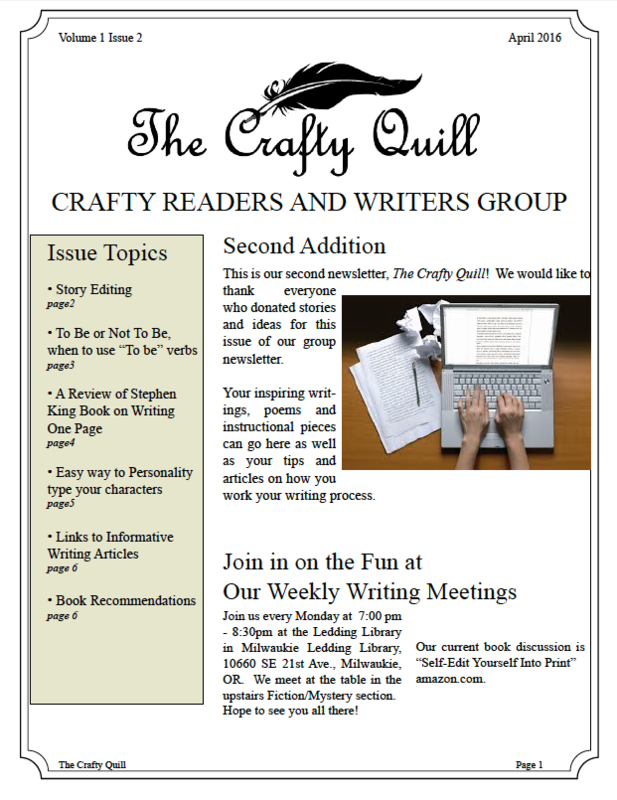 If you wish to submit and article or be a regular contributor, please email us at info@craftywriters.com Attn: John Weemhoff.